"Insight Into Depression" is a book based upon the Waverley Abbey Insight Day on depression. The book is therefore full of useful medical and psychological advice that helps people to understand depression and the various treatments for it. Start to make sense of how you feel, and find hope that change is possible. Depression touches the lives of so many people, yet it is often feared, ignored or misunderstood. Combining knowledge of individual experience, psychological research and professional practice, this book seeks to bring understanding and offer support and help to both sufferers and carers. - Finding hope for climbing out of the darkness. The authors offer a holistic and God-centred approach to moving through and beyond depression, combining "warmth and reassurance with practical suggestions and sane biblical insight" (from Foreword by Adrian Plass). Insight Into Depression by Chris Ledger; Wendy Bray was published by CWR in October 2009 and is our 18392nd best seller. The ISBN for Insight Into Depression is 9781853455384. 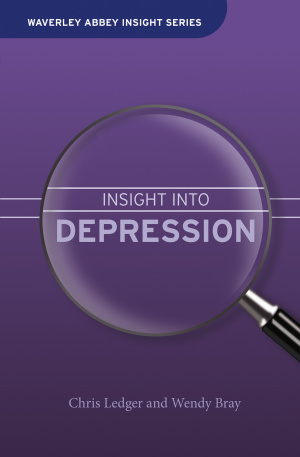 Be the first to review Insight Into Depression! Got a question? No problem! Just click here to ask us about Insight Into Depression.